Email newsletters are one of the oldest, most tried and tested ways of promoting a website - but it's a technique that still works extremely well. By building a solid list of subscribers, and regularly emailing them with news or special offers, it's possible to generate steady and targeted traffic that doesn't rely on the vagaries of search engines, and costs very little in comparison to paid advertising. Given that this is such a powerful traffic generation technique, it makes sense to pay every bit as much attention to it as you do to your other marketing efforts, so here are seven tips on how to make your email marketing efforts a greater success. Before we look at ways of attracting new signups to your email list, it makes sense to do everything you can to retain existing subscribers. Make sure that the emails you send are genuinely valuable, whether it be by using useful and interesting content, or by handing out promotional codes that represent a great offer to the user. Don't be tempted to overuse your email list - creating a constant stream of largely pointless emails will soon become an annoyance to your subscribers, and many will unsubscribe as a result. If you're creating newsletters of value, then it makes sense to leverage this work in any way you can. Putting older newsletters online will not only provide extra content for your site, hopefully generating additional traffic, but if potential list subscribers can see that previous newsletters have been interesting and useful, they're more likely to give you their email address for future editions. Furthermore if you run a brochure website, like that made on Kommand, adding newsletters is a great way to keep your website current. 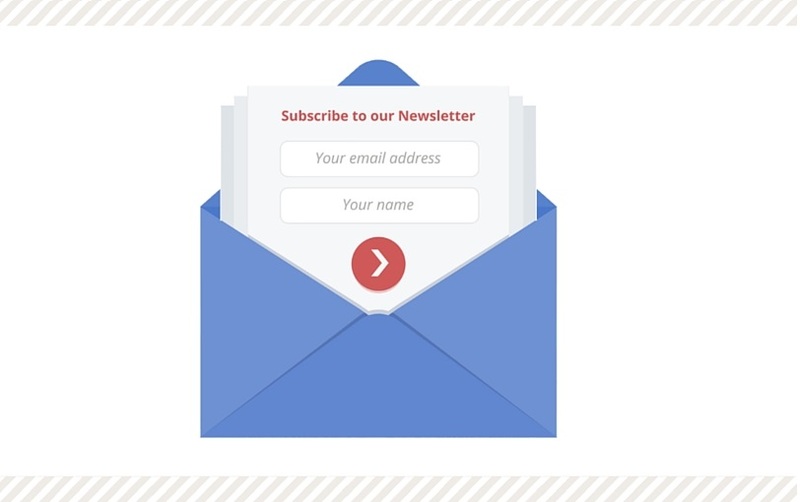 Subscribing to your site's newsletter should be as painless as possible. You may wish to put a clear way of signing up on every page of your site (especially on your archive of previous editions), and give visitors a reason to sign up without nagging them - for example, offer a one-time discount code or free e-book to every new subscriber. Although attention needs to be paid to the legalities of email lists - double opt-in and so on - do everything you can to smooth the process of signing up. Each newsletter you send should make the recipient feel valued. A simple, anonymous advertising pitch will not be anywhere near as effective as an email that makes a subscriber feel like part of an elite club. As well as offering discounts and special promotions to your subscribers, consider creating a special area of your site only open to members of your email list, where they can access valuable and exclusive content - and be sure to mention this benefit at every opportunity when asking people to sign up. If possible, split your email list into segments depending on previous interactions, so that you can target each user more precisely - for example by rewarding previous purchases with discounts for related products. This may or may not be easy to do depending on your site and back-end systems, but if you can personalise your emails even a little they will be much more successful, and subscribers will be more likely to stay on the list. Consider including a brief advertising message and link to your list's sign up form on every email you send out to a customer or in response to an enquiry. Don't be pushy, but make sure the benefits of signing up are clear and that it's easy to do so with as few clicks as possible - remember, your email list can become a very valuable asset if maintained and utilised properly, so try and give it as much promotional attention as you do any other part of your business. It might be the case that someone is subscribed to your mailing list but doesn't often visit your site, or has forgotten about your business. It is crucial that for these circumstances, and in general, that your website reflects the quality of your emails. After all, the goal for your mailing list is to direct people onto your website so if the website is difficult to use or not living up to expectations your efforts will be in vain. A website builder is a manageable and affordable way to have a great looking website. With Kommand you can have a mobile responsive website up and running in a matter of hours for as little as £9 per month. To find out more about our features visit our Tour page or contact us if you have any questions about getting started.